From the world of advanced automotive engineering comes yet another innovation from Autoscript. Known as frictionless magnetic technology, it employs a Hall effect encoder to overcome one of the main handicaps of existing prompter-control devices, which use torsional-spring mechanisms. 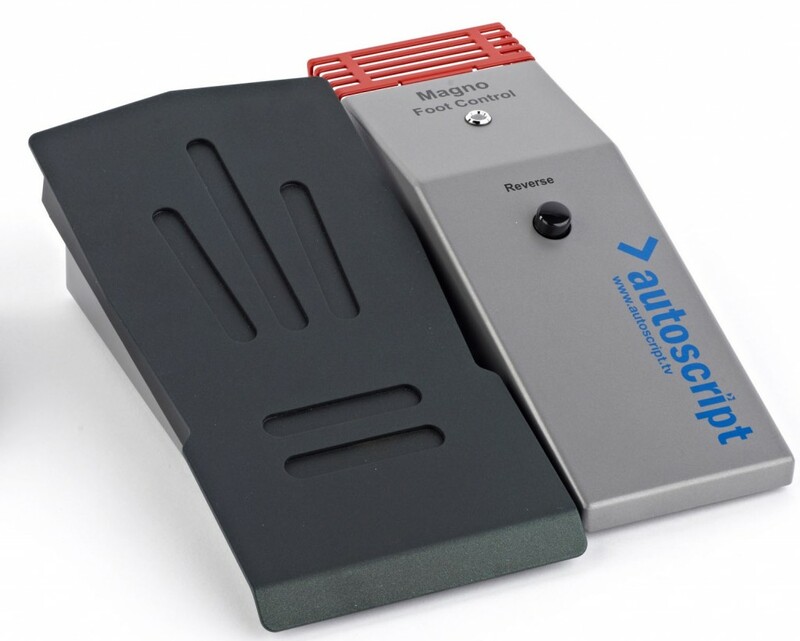 Autoscript has now integrated frictionless magnetic technology into its Magno Foot Control and companion Desk Pad, both of which provide an ultra-responsive user interface for control of prompting systems. The repeated pushing and twisting action normally applied to mechanical foot controllers inevitably weakens the tension springs used in these devices over time. With Autoscript’s magnet-based design there is no spring to weaken or break. 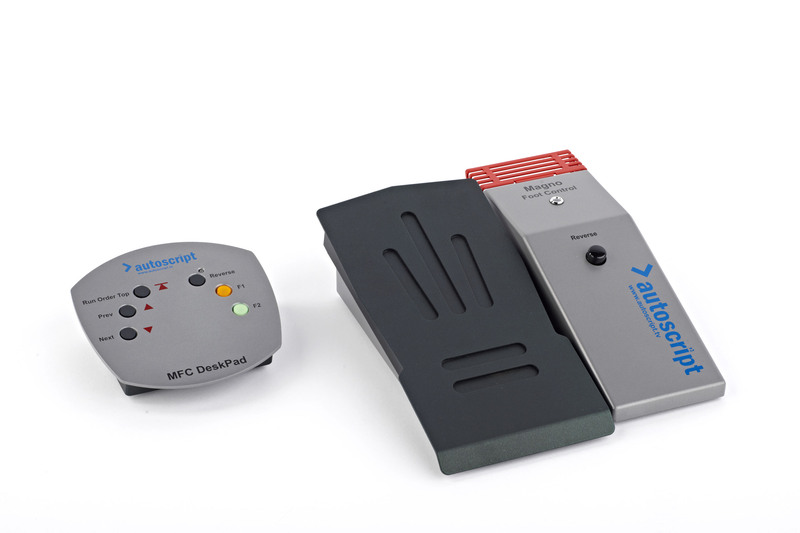 In fact the Magno Foot Control is virtually 100 per cent service-free. 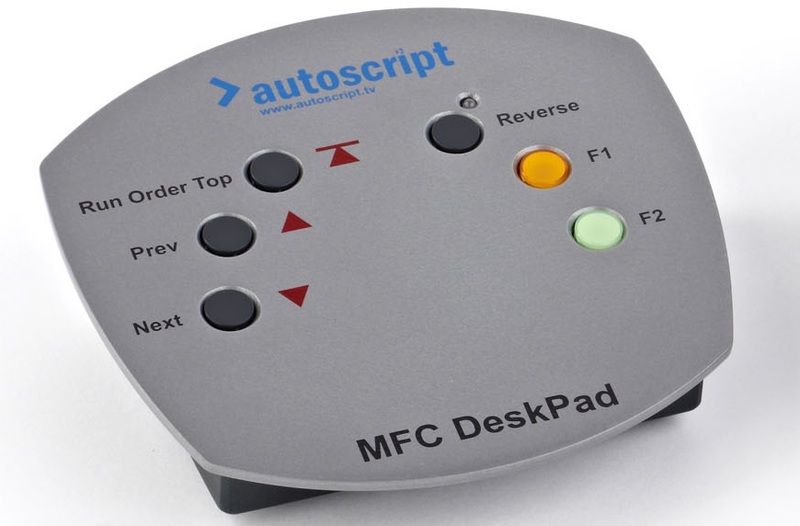 Using intuitive desk pad keys while connected directly with the WinPlus prompter software, the presenter can immediately assign specific controllers, view which ones are live, personalize them, and enable or disable them. Whether seated or in a standing position, presenters can use theMagno Foot Control and companion Desk Pad with equal ease. Unlike less precise technologies, the Magno interfaces with broadcast standard coax, enabling a hassle-free connection to the studio’s matrix for swift, practical set-up and reassuring reliability. The Magno also offers a longer life span than conventional technology. The Magno takes presenter interaction and control to the next level with unrivalled reliability. The Magno Foot Control features environmentally sealed speed control elements that have no moving contacts – good for more than 10 million actuations, proven Autoscript Control Net technology, very low power consumption and rugged all-steel case construction. The Magno FC and Desk Pad are powered from Control Out connector or from external 12V DC power supply if using Control Net.